Francois Letexier blows his whistle and it's Josh Maja (Bordeaux) who is penalised for an offensive foul. Good decision by the referee. Aurelien Tchouameni (Bordeaux) earns the yellow card. Josh Maja (Bordeaux) is yellow-carded for breaking the rules of the game. The fourth official shows 5 min. of added time. We are about to witness a substitution. Josh Maja (Bordeaux) is replacing Jimmy Briand. The VAR intervenes and the referee disallows the goal as Carlos Vinicius (Monaco) was in an offside position! The Monaco players halt their celebrations as referee Francois Letexier makes the VAR signal to review the goal, most likely to ascertain if there was an offside in the build-up play. GOAL! Falcao meets a cross inside the box and heads the ball across the goal, where Carlos Vinicius (Monaco) lurks and pokes it into the back of the net. 2:1. Jules Kounde (Bordeaux) connects with the corner kick around the penalty spot, but steers his header inches over the bar. Nicolas De Preville (Bordeaux) steps up to send the ball in. Nicolas De Preville (Bordeaux) pulls the trigger and strikes the ball towards goal from long-range, but his effort is blocked by one of the defenders. Bordeaux have been awarded a corner kick. This yellow card was deserved. The tackle by Adrien Silva (Monaco) was quite harsh and Francois Letexier didn't hesitate to show him a yellow card. Gelson Martins (Monaco) receives a precise pass and is given time inside the box to send a low strike towards the middle of the goal. Benoit Costil guesses his intention and denies him with a fine save. Fode Ballo Toure (Monaco) looks to break free, but an opposing player clears the ball away. The resulting corner from Cesc Fabregas (Monaco) only finds one of the defenders, who heads it out of danger. The manager has decided to make a substitution and Aleksandr Golovin walks off the pitch to be replaced by Nacer Chadli (Monaco). There's an opportunity for Cesc Fabregas (Monaco) to deliver the ball into the box from a corner. Close! Aleksandr Golovin (Monaco) picks up a pass and produces a ferocious strike towards the right post, but the goalkeeper gets his fingertips to the ball to keep it out. Monaco have been awarded a corner kick. Adrien Silva (Monaco) fashions a shot from the edge of the box after receiving an accurate pass. Benoit Costil makes a stunning save to stop the effort from flying into the right side of the goal. Djibril Sidibe (Monaco) was standing in a clear offside position, making it an easy call for the linesman. Another attempt to send the ball beyond the defence by Nicolas De Preville (Bordeaux) is thwarted and cleared to safety. Today's match ends for Rony Lopes who will be replaced by Carlos Vinicius (Monaco). Francois Letexier shows a yellow card to Jemerson (Monaco) for his blatant foul. Gelson Martins (Monaco) argues strongly with the referee and is awarded a yellow card. A needless yellow card! Yann Karamoh (Bordeaux) receives a well-played pass inside the penalty area and shoots. His effort sails well wide of the left post. Goal! Jimmy Briand (Bordeaux) wins the battle of wills and sends an unstoppable penalty past Danijel Subasic into the bottom left corner. 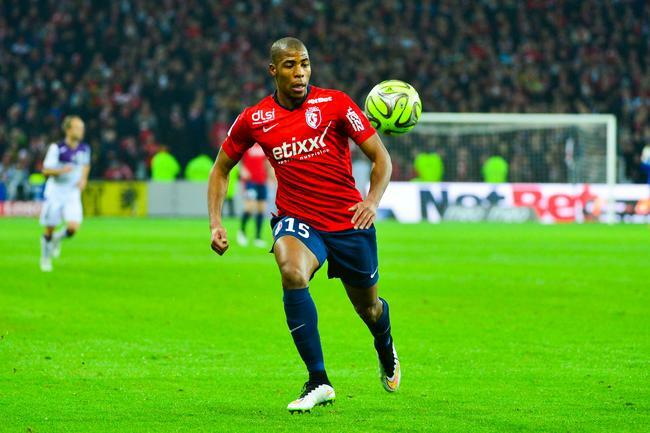 Jimmy Briand (Bordeaux) is going to take the penalty! Falcao (Monaco) is rightly booked by the referee because it could not have been anything other than a yellow card. It’s a PENALTY to Bordeaux after the VAR review! There's a break in play and referee Francois Letexier must have got a signal in his ear as he indicates he will check that earlier penalty claim by Bordeaux using VAR. This could be interesting! That looked a certain handball by Falcao (Monaco) inside the box, but the ref wasn't having it and just played on. NO penalty! The resulting corner from Nicolas De Preville (Bordeaux) is cleared. Here is a change. Younousse Sankhare is going off and Paulo Sousa gives the last tactical orders to Yann Karamoh (Bordeaux). It will be a substitution. Samuel Kalu (Bordeaux) is ready to enter the pitch as Francois Kamano walks off. Maxime Poundje (Bordeaux) sends a long crossfield pass searching out one of his teammates, but his effort comes to nothing and they lose possession. The referee blows his whistle, Bordeaux are awarded a corner kick. Cesc Fabregas (Monaco) will take the corner. Rony Lopes (Monaco) places a shot from the edge of the box towards the right side of the goal, but Benoit Costil makes a terrific save to deny him. Nice play all round! The ball is out of play. A goal-scoring opportunity from a corner for Monaco. Fode Ballo Toure (Monaco) is booked after bringing down an opponent. Francois Letexier had an easy-decision to make. Adrien Silva (Monaco) sends over a cross, but he can't find any teammate inside the box. Poor delivery. The linesman raises his flag for offside before Nicolas De Preville (Bordeaux) heads on. Goal! Fode Ballo Toure plays a neat lofted pass into the box for Falcao (Monaco), who beats the defender in the air and plants a header into the left side of the goal from close range. 1:0. Nicolas De Preville (Bordeaux) makes a rough challenge and Francois Letexier blows his whistle for a foul. Francois Letexier has ended the first half by blowing the whistle. Cesc Fabregas (Monaco) takes the corner, but he overhits it and none of his teammates are able to reach the ball. Rony Lopes (Monaco) goes on a solo run, but he fails to create a chance as an opposition player blocks him. Francois Kamano (Bordeaux) races towards goal but the defender gets back well to make a challenge. Younousse Sankhare (Bordeaux) almost finds himself in a very promising position, but he is flagged offside by the linesman. Rony Lopes (Monaco) breaks past challenges inside the box, but puts too much pace on his pass to Gelson Martins. The ball goes out of play and Bordeaux will have a goal kick. Falcao (Monaco) launches into a thunderous tackle on his opponent and the referee blows his whistle for a foul. Rony Lopes (Monaco) should know this behaviour is beyond the rules. He was too careless with his challenge and left Francois Letexier no option but to blow his whistle. The Bordeaux players are exchanging some short passes to try and open up the opposition’s defence and hit them swiftly on the break. The ball is cleared after Rony Lopes (Monaco) attempted to dribble past an opposing player. Jimmy Briand (Bordeaux) receives a good pass just outside the box, unleashes a strike from a promising position, but the shot is blocked by the defender. That was close by Cesc Fabregas (Monaco)! He receives a pass on the edge of the box and shoots, but the ball goes inches wide of the right post. Nothing comes of the resulting corner from Nicolas De Preville (Bordeaux). The defence is alert and manages to cut it out. Aurelien Tchouameni (Bordeaux) is moving okay again after that injury scare. Nicolas De Preville (Bordeaux) takes the free kick and sends the ball into the penalty area. The opposition's defence outnumbers the attacking players inside the box and they manage to make a clearance. Bordeaux will have a chance to score from a corner kick. Aurelien Tchouameni (Bordeaux) is writhing in pain and can now receive medical treatment after the referee signals for the physio to come onto the pitch. Aurelien Tchouameni (Bordeaux) flights in the cross, but the defender is alert and clears to safety. We can have a look at the statistics now, particularly the total attempts – 3:1. The shots on goal statistics – 2:1. Falcao (Monaco) gets on the end of a pass and takes a shot from the edge of the box, but it's blocked by one of the defending players. Francois Kamano (Bordeaux) receives a pass, beats an opponent and tries a long-range shot. It's a weak effort low towards the middle of the goal and Danijel Subasic easily makes the save. Gelson Martins (Monaco) received a clever through ball which could have put him in a promising position, but the defence was alert to the danger. Adrien Silva (Monaco) is obviously not following the Golden Rule: „Treat others as you want to be treated.“ He makes a bad challenge and leaves Francois Letexier with no other option than to blow for a foul. Francois Kamano (Bordeaux) is flagged for offside. The keeper makes a simple save after Aleksandr Golovin (Monaco) received a short pass and shot low from the edge of the box towards the middle of the goal. Falcao (Monaco) attempts to score as he rises near the penalty spot and heads the ball to the middle of the goal. Benoit Costil pulls off a comfortable save to stop the ball from hitting the net. The players are out at last! Bordeaux will take the kick-off. Francois Letexier will supervise the game today.